Bad breath is one of the most troublesome and embarrassing dental problems. If you feel like your breath is not as fresh-smelling as you want it to be, here are some tips to help you regain your confidence with better-smelling breath. Brushing the teeth and flossing are always part of the good oral hygiene equation – but are you religiously doing these things? Make sure that you keep your mouth clean by regular tooth brushing with using dental floss, and you can prevent bad breath problems. 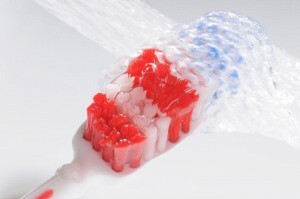 Do not forget to clean your tongue when you brush your teeth. The tongue’s surface can trap bad breath-causing bacteria and food debris, which can contribute to the foul smell inside the mouth. Water flushes out food pieces that are left inside your mouth after you eat, and also prevents a dry mouth problem – both conditions can cause bad breath. Are you fond of eating strong-smelling food like garlic and onions? Do you like eating curry and other dishes filled with spices? These food items may be the cause of your bad breath. 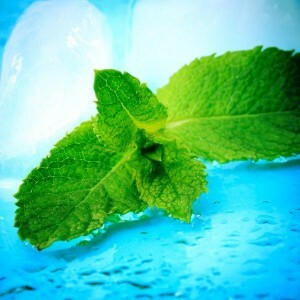 You can quickly freshen your breath by chewing on fresh herbs such as mint, basil, parsley, and cilantro. Munching on raw crunchy vegetables & fruits such as carrots, celery, and apples help improve the smell of your breath. Crunchy fruits and vegetables act as natural cleansers that sweep away food debris from inside the mouth. Professional dental cleaning and hygiene treatments will go a long way in keeping your breath smelling fresh for a longer period of time.